​My Fair Cakery design bespoke, delicious cakes tailored to your requirements. At MyFairCakery we specialise in creating high end wedding cakes which have graced some of the finest wedding venues in the UK. Everything we make is bespoke, every picture you see on this website is a cake we have created with many more in our offline portfolio. 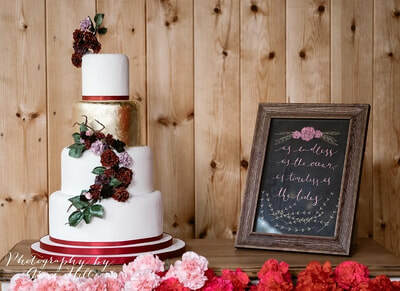 We are proud of our reputation - we have never had a complaint, have never been late and have successfully delivered every wedding cake we have created whatever the weather. 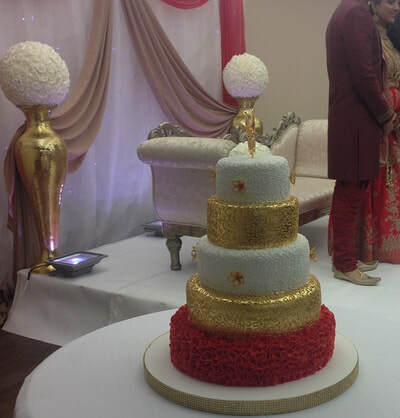 At MyFairCakery we love to create the most amazing wedding cakes, we regularly attend wedding fairs and create cakes to suit all dietary needs. Our wedding cakes are designed and planned to your exact requirements and then created in our wonderful studio in Frinton near Colchester, Essex. MyFairCakery are happy to travel to locations such as London and are often seen delivering cakes in and around locations such as Covent Garden and Kensington. We are the cake designers and creators of choice for many Theatreland productions and have enjoyed seeing people such as Bradley Cooper, and Robert Lindsay enjoying our delicious creations. If you are looking for an amazing cake design then talk to us, we deliberately leave spaces in our diary for those whirlwind romance wedding cakes. 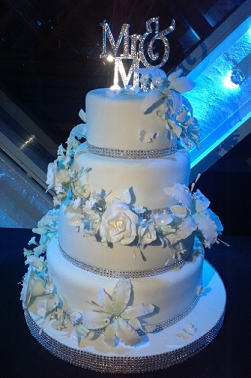 Let our owner Catherine Parker create the cake that you will remember forever.